← Bruce’s Book Club is Back! Great to have you back after a fast and furious holiday season. Let’s not waste any valuable reading time! If you’re looking for the best in LGBTQ etc literature. Glad Day Books is your one stop party shop for the avid reader and nauvis alike! 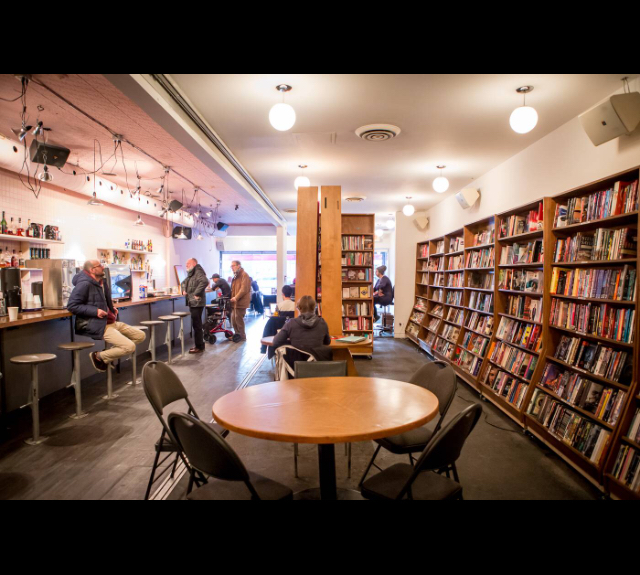 It’s a bookstore/coffee shop/club like no other and the oldest LGBTQ landmark in support of the Gay community. Supporting local Queer authors when it wasn’t the trend to do so! If your a supporter of the gay arts then you should really stop by and enjoy a cup of joe and pick up the hottest in LGBTQ lituature! At a time when several of Toronto’s independent book stores have shut their doors, Glad Day Bookshop is still here, and still queer. “I think it’s more vibrant and more inclusive of different cultures,” he said of the 43-year-old store. “It’s more than a bookshop; it’s becoming a community centre.” Kwame Stephens Author. This quote was taken from a great article in the Globe and Mail by JENNIFER GOLDBERG PUBLISHED JUNE 29, 2013 and UPDATED MAY 11, 2018. Januaries Book club selection is called The Boy Who Brought Down a Bathouse. The Boy Who Brought Down A Bathhouse, the first book by notorious gossip columnist Rolyn Chambers, who toiled as the last manager of infamous gay bathhouse St. Marc Spa, is sure to get everyone nice and hot in this cold grey January! Stop by Gladday Books today for your autographed copy. While supplies last!